There are many types of apartments in NYC for home buyers and renters to choose from. Property types in NYC range from condos, coop, townhouses, multi-family properties to new construction and sponsor units. We’ll explain in this article the differences between the various property types in New York City. Which Types of Apartments Are Most Commonly for Sale in NYC? What Types of Apartments Are Most Common for Renters in NYC? 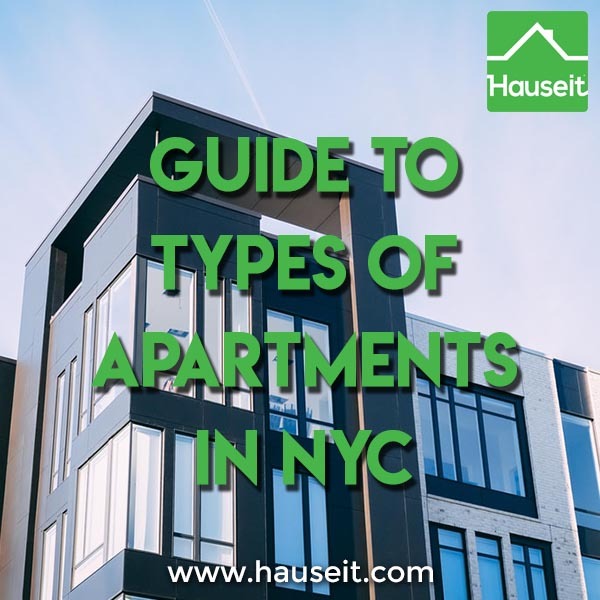 What Types of Apartments Are NYC Condos? What Types of Apartments Are NYC Coops? What Types of Apartments Are Condops in NYC? What Types of Apartments Are Sponsor Units? The vast majority of the apartment inventory for sale in New York City consists of condo or co-op apartments. Historically, co-ops have vastly outnumbered condos in NYC with as much as 75% of the housing stock consisting of cooperative apartments. However, with the recent new construction building boom, more and more condominiums have been built and the ratio of coops vs condos is quickly approaching parity. It’s important to understand that coops are not considered to be real property. Rather, coop apartments are held by shareholders who are given a stock certificate and proprietary lease by the cooperative corporation which owns the entire apartment building. Furthermore, coops have restrictive rules and regulations governing everything from whether you’re allowed to sublease your apartment to how much carpeting you must use. Is buying a coop a good investment in NYC? Read our complete guide on buying a coop in NYC before you decide whether to pursue buying a co-op! Renters have additional types of apartments to choose from in the form of landlord buildings. As the name suggests, a landlord building is an apartment building or tower wholly owned by one landlord. This landlord will have different types of apartments within the building available for rent, ranging from small studios to expansive 3 bedroom apartments. As a result, there is typically a superintendent and a leasing or management office on site at the building, and the rental application is usually pretty standardized. Furthermore, these landlord high-rise buildings will typically have many amenities such as a gym, roof deck or a laundry room on site. It’s important to mention that smaller multi-family properties such as townhouses are also technically landlord buildings. However, a legal three family townhome will be a dramatically different place to rent from. In these landlord buildings, the owner typically lives in one of the units and rents out the other units. Don’t expect the same amenities when renting in a multi-family townhome and expect a longer rental application process given that the owner is typically managing this on his or her own. Note: You’ll find many multi-family townhouses in Brooklyn due to the tremendous amount of interest for smaller investment properties over the past several years. Condos are one of the most ubiquitous types of apartments available around the world. In NYC, condos are no different than other condos you’ll find for example in Miami. The basic premise of condo ownership is that you own the interior of your condo apartment, and share ownership of the common areas in the building with other owners. Typically, you own a pro rata share of the common areas depending on how much property you own versus the other owners in the building. What percent of common elements that you own is typically determined by relative square footage. Furthermore, you must sign a general agency agreement letting the condominium association act on your behalf before you can buy a condo in NYC. The condominium association is run by an elected board of directors. While typically less powerful than a co-op’s board of directors, or at least less willing to overstep their bounds, a condo board still exercises great power in directing a building’s affairs. A condo board is allowed to levy common charges on all units as well as one-off assessments to pay for special projects. Any owner who doesn’t pay may be subjected to a common charge lien on their unit. A common charge lien is a nuisance as the owner won’t be able to sell without clearing this and any other liens. Coops, otherwise known as co-operative apartments, are a strange form of living unique to New York City. With the exception of very expensive coops on Park Avenue where the residents have chosen to huddle together truly to exclude people they may not like from being allowed to purchase in their building, most NYC buyers who do buy coops end up doing so primarily because it is a cheaper form of living. Coops have traded historically 10% to 40% less than comparable condos of the same size and quality. This cheapness is due to the lack of real property rights and restrictions on subletting the apartment. 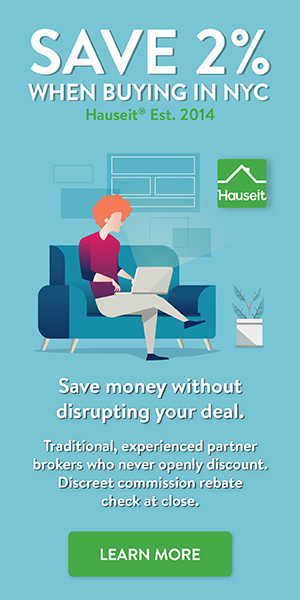 Because coop apartment shareholders can almost never sublet, or rent out their apartment without restrictions, most investors will not even touch a coop. Furthermore, because many coops have residency requirements, many foreign buyers or out of town buyers hoping for a pied-à-terre won’t be allowed. Lastly, even many regular New Yorkers will be turned off by the extremely invasive and onerous board purchase applications that are required. Who wants to share every personal and financial detail of their life with their new neighbors? How backward! As we’ve previously mentioned, co-op apartment shareholders do not technically own their apartments. The cooperative corporation owns the entire building and all of the apartments inside. The co-op corporation is run by an elected board of directors with an enormous amount of power, similar to the board of directors of a regular business corporation. As a result, coop apartment owners are technically tenants versus owners. They are tenants with a proprietary lease to a specific apartment in the building which they are allowed to occupy. Fortunately, the lease is always renewed. Don’t be fooled by listing agents marketing their coop apartments as “a coop with condo like rules” or a condop. A condop is simply a number of apartments organized as a coop corporation within a condo building. Typically, all of the residential units in a building will be bundled together as a co-operative corporation and the ground floor will consist of separate commercial condo units. The commercial condos and the co-op corporation will all be part of a larger condominium association that encompasses the entire building. As a result, just because an apartment is marketed as a condop does not mean that suddenly it will have condo like rules allowing you to freely rent out your apartment. Because a condop really is just a coop in a larger building that has separate condo units, the house rules you’ll encounter will typically be no different than you’ll see in a standalone coop. The trick is to not overpay for a condop when buying. If you can manage that, then you may be able to take advantage of the confusion around what condops are and get someone to pay a premium for your condop when it’s time to sell! A sponsor unit is an apartment in a condo or co-op building that is being sold for the first time. Most sponsor units these days are in brand new condominium buildings that are built from the ground up. Some are redevelopments of former industrial or office buildings. However, even though most rental to co-op conversions happened decades ago, there are still a large number of unsold sponsor units in co-op buildings. If you are able to find and buy a sponsor unit in a co-op building, you will be able to skip the co-op board interview and often the coop board package as well! Some sponsors may still require you to fill out an abbreviated purchase application, but it’ll be much less intrusive than your typical coop board application and you also won’t have to share that with your neighbors! Essentially, you’ll be able to buy a coop without an intrusive and nosy co-op purchase application process and without having to seek co op board approval. What a relief for buyers who are concerned about personal privacy! Keep in mind that sponsors will often expect you to pick up their NY State and NYC transfer taxes as well as their attorney fees in a sponsor sale. Fortunately, this is negotiable and a seasoned buyer’s agent may be able to help waive some of these extra closing costs for you. What Could Go Wrong with a Realtor Rebate in New York?